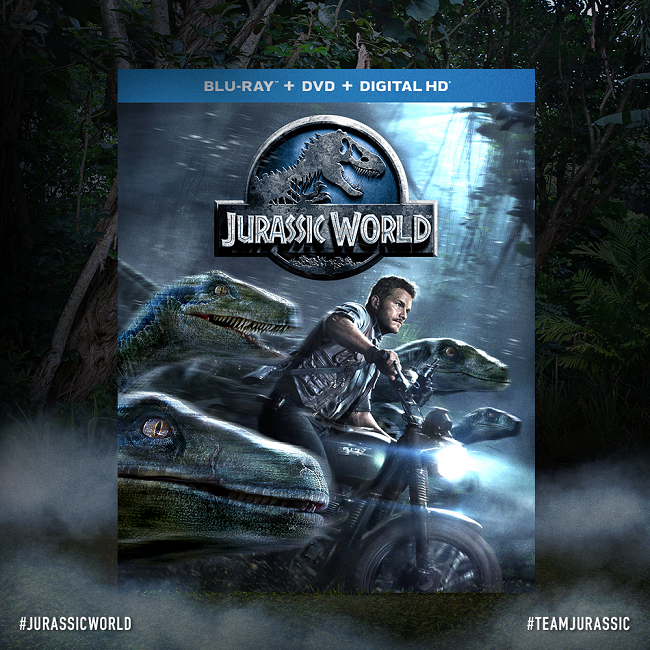 Add Jurassic World Blu-ray to your Home Entertainment Collection! The #1 movie of the year proves that once again, dinosaurs rule the earth. #JurassicWorld is available NOW on 3D Blu-ray, Blu-ray, DVD, and Digital HD! For more information on the film, visit here or check out the trailer below! So get your popcorn and favorite movie munchies together for a fun night in with Jurassic World! We’re excited to get our Blu-ray copy and movie watching prize pack. Follow along on social media with #JurassicWorld and #TeamJurassic to see all the fun! Enter below for your chance to win a Jurassic World Blu-ray! I like white cheddar popcorn. My favorite movie snacks are popcorn and an ICEE. My favorite movie theater snack is popcorn. Thanks for the giveaway, I hope that I win. My favorite movie snack is popcorn or caramel corn. My favorite movie snack is popcorn and red licorice. I like popcorn with extra butter! I like popcorn with a lot of butter. Thanks. My favorite movie snack is Chocolate Covered Raisins or Trail Mix. Peanut M&Ms and Junior Mints!!! Mike and Ikes are my favorite movie treat! My favorite movie snack is buttered popcorn followed by peanut M&Ms. Lately my favorite snack has been white cheddar popcorn! I also love snacking on honey roasted peanuts. I always have to have some heavily buttered popcorn, lol. But, I like a box of Junior Mints, too! I like hot buttered popcorn. I love 479 Degrees popcorn! Coconut Caramel is my favorite!! Popcorn with butter salt is my favorite! My favorite movie time snack is always pop-corn, we have big boxes of it down in our basement to make whenever we are watching a movie. Lots and lots of popcorn!! Caramel popcorn is my all time favorite snack to munch on while watching a movie!